Birth is beautiful and a true miracle. After delivering three babies myself, I know how special this time can be. My own birth photos are some of my most cherished images, but I didn't hire someone for my first delivery. I have just a few photos after he arrived, and although I love what I have, I missed out on so many moments during his delivery. By having me in your birthing space, this will allow your husband and any family to provide you with their full support, while I capture the moments. My goal is to tell your birth story through images and to share with you moments you may have not even known happened. I wish to capture not just the expression and emotion on your face, but those surrounding you. All of those tiny details that are so often lost in the moment. 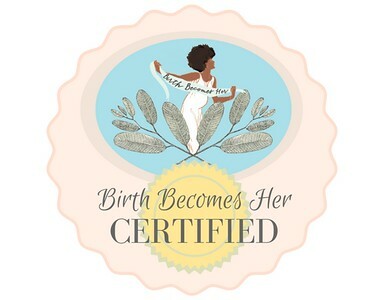 As a birth professional, I am experienced with birth and respectful of the space surrounding you and your providers. - A pre-birth consultation to discuss your hopes, desires and plan for your birth and birth photographs. I want to get to know you and your family so that you feel comfortable inviting me into your birthing space. "When looking for a birth photographer I knew I wanted someone that I could trust. Working with Sara Demick was exactly what I was looking for. She made the whole process so easy. I had her take our second surprise baby birth photos since I didn’t get this with my first. I wanted something special for the second born. I couldn’t be happier looking back at these photos and remembering that day that is fading from my memory. Now I have these photos and I know I won’t forget the amazing day and hearing my husband say it’s a BOY! If you’re looking for a birth photographer hands down Sara Demick is amazing!!! I highly recommend her and tell everyone I know who’s looking for a photographer"
"Sara has worked with my family through both of my children and most recently with the birth of my daughter Lillian. I knew this was something I wanted to document and I knew as soon as I met Sara I would feel comfortable with her attending my most intimate moment. She was very attentive to me if I needed anything while also hanging back to let my family have our special moment. She was supportive and encouraging, like having a doula and photographer in one! The pictures I received were exquisite and bring me to tears every time I look at them. I am so grateful for her providing me with this very special memory to have forever." Sara is a fantastic photographer who we have hired for family photos for years. When I found out I was pregnant with our 3rd baby, I knew I wanted birth photography this time. I was worried about having someone in the way or a flash in my face... that's not how Sara does birth photography. You don't even realize there is someone else in the room. During certain times she even offered a calming presence and amazing support. The pictures she took were amazing. I still look at them frequently. She caught so many special moments that I would never have even noticed had she not been there. I really liked how she asked me for my preferences as far as how much support I wanted from her and what camera angles I'd prefer. She honored all my requests and delivered the most beautiful photos I've ever seen. You will not be disappointed. My only regret is not hiring her for my first two babies.